Home Travel News Can lower prices help promote Danang tourism? Can lower prices help promote Danang tourism? admin Aug 26th, 2013 Comments Off on Can lower prices help promote Danang tourism? Danang, despite recent successes, is still pondering the best strategies for enticing tourists in greater numbers to visit the city and its surrounds. Boosting low season arrivals is particularly important to maintaining the city’s tourism industry growth. Many local travel operators offer heavy discounts, but do the cheaper prices also result in a lower quality of services? Danang, which aims to host major domestic and international events, received a record 2.6 million visitors in 2012, earning VND6 trillion. Major events like the annual international fireworks competition and maritime tourism festival ensures the city is packed during peak periods but do not help balance seasonal vicissitudes. The storm season lasting from September to December is especially difficult for the city’s tourism industry. Vuong Van Dung, Hoang Tra Tourism Company Ltd’s Deputy Business Director, says his company follows the industry-wide low season discount trend by offering 20% off ticket prices for the Danang—City of Bridges tour. He believes promotion programmes should have begun much earlier in the year to facilitate more effective tie-ins and links with other service providers. Danang’s tourism industry could be overheating. The city’s hotel room numbers exploded from 6,000 in 2010 to 10,000 last year and 2013 is expected to add 1,800 more. 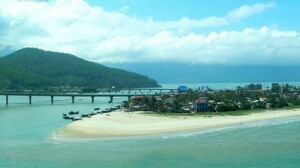 The boom is concentrated at modest budget levels and Danang still lacks accommodation rated at three stars or above. The room supply surplus also contributes to dramatic low season discounting. Danang Tourism Association Secretary General Trinh Bang Co warns promotions and sales are only stopgap measures. Stimulating demand over the longer term requires developing unique tourism products and services capable of earning prestige. Such a strategy is also more likely to encourage return visits. His association is jointly running a programme that monitors prices and tour operator standards in the city. Tran Chi Cuong, Deputy Head of the Municipal Department of Tourism, Sports, and Culture, says his department is carefully scrutinising industry discounting to ensure the reputation of the city’s tourism brand is not tarnished by low season desperation. The information it collects will be publicly available to both local residents and visitors, empowering them to take action if any businesses fail to honour their discount guarantees.